Would you stick with Gmail or move on to Inbox? 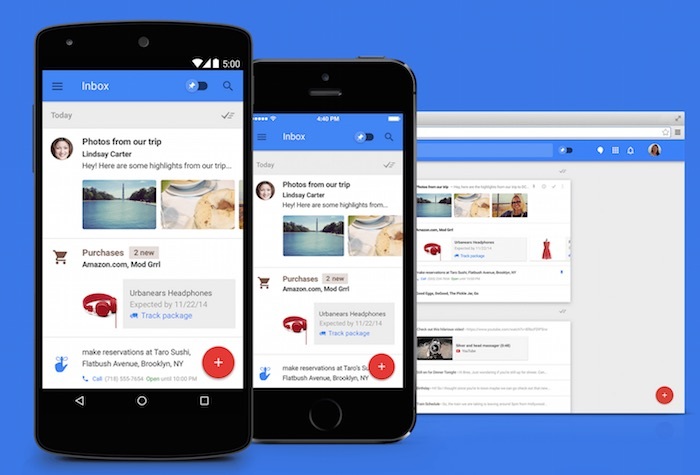 Already, there are many rave impressions on Google’s Inbox after its debut this week. It seems also that engineers at Google have finally realized that Gmail is gradually losing the luster it once possessed in the early days since it was launched in 2004, a time when email services were in high demand due to the rising volume of electronic messages people were sending that time. But could Google Inbox replace the long-standing Gmail, as the search giant plans to do in the long run? As time passed since various email services, including Gmail, began sprouting like mushrooms, the users’ volume of email-based transactions also grew dramatically, as expected in an advancing world of technology. The function of email has also evolved from merely being a channel for sending and receiving electronic messages to managing calendar, keeping a to-do-list, and keeping tabs on alerts from important sites that you subscribe to. The large and increasing frequency of emails and alerts that we receive makes it tremendously annoying to open emails nowadays. Gmail in particular no longer focuses on the things that matter most to users. It has become a clutter of unimportant messages such as spam and unsolicited marketing stuff. In order to address these concerns, Google developed Inbox. Upon initial impression, Inbox appears to be an advanced upgrade to Gmail, if not a complementary appendage to it. The truth is, Google wants to replace Gmail on a long-term timetable. The search giant clarified, though, that the engineers behind Gmail will keep working on the service. But Inbox is different: it is designed to be your next-generation email option for the next ten years onwards. At present, the prototype version of Inbox is designed for the Web only, but later on the Google team plans to create iterations for mobile devices running the Android and iOS operating systems. Signing up to Inbox will be seamless: all you need is Gmail login data and you are good to go. After signing up, all your messages and important in Gmail will be migrated to Inbox. Also, every bit of activity that you do with Inbox gets reflected in Gmail, so the two services will be basically centralized. In the long run, Google wants users to choose only one of the two and not use them all the same time. At present Inbox is on an invitation-only basis, but no doubt the Mountain View company will roll it out to the general public soon.